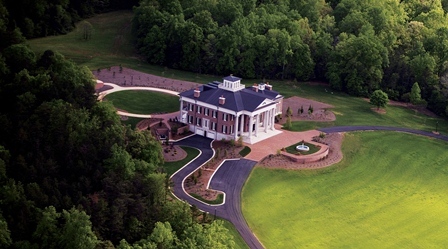 Tour one of the largest privately-owned homes in the southeastern United States with more than 60 rooms. Linbrook Hall is located on a hill in view of America's oldest mountain range, the Uwharrie Mountains, and features architectural details found in many 18th century homes. See the Neal's personal collection of antiques from around the world beautifully displayed throughout.